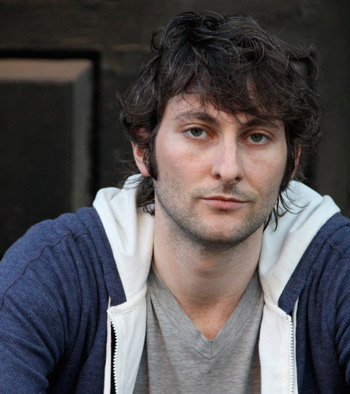 Hell-Bent explores a fascinating, often surreal world at the extremes of American yoga. Benjamin Lorr walked into his first yoga studio on a whim, overweight and curious, and quickly found the yoga reinventing his life. He was studying Bikram Yoga (or “hot yoga”) when a run-in with a master and competitive yoga champion led him into an obsessive subculture—a group of yogis for whom eight hours of practice a day in 110- degree heat was just the beginning. So begins a journey. Populated by athletic prodigies, wide-eyed celebrities, legitimate medical miracles, and predatory hucksters, it’s a nation-spanning trip—from the jam-packed studios of New York to the athletic performance labs of the University of Oregon to the stage at the National Yoga Asana Championship, where Lorr competes for glory. The culmination of two years of research, and featuring hundreds of interviews with yogis, scientists, doctors, and scholars, Hell-Bent is a wild exploration. 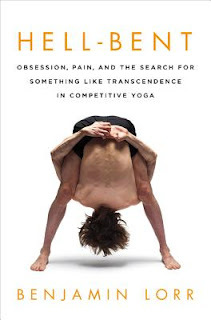 A look at the science behind a controversial practice, a story of greed, narcissism, and corruption, and a mind-bending tale of personal transformation, it is a book that will not only challenge your conception of yoga, but will change the way you view the fragile, inspirational limits of the human body itself. I knew nearly nothing about yoga before reading this book. While I was reading I swayed between thinking "Oh my word I NEED to try this!" to "Not in a million years!" This was a fascinating look at the world of yoga, and of Bikram Yoga in particular. Benjamin Lorr takes us on a memoir-esque exploration into the intense realm of competitive yoga. I was at turns enthralled and repelled. 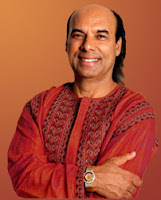 Bikram Choudhury, the driving force behind his own brand of yoga, is a very interesting man. Genius? Guru? Spoiled man-child? He came to America with his incredible skills and changed the face of the practice of yoga. The things that these people can do to and with their bodies is amazing. I found my mouth hanging open while reading about the poses, the heat, the extreme measures. It becomes a way of life for some practitioners and you can understand why. Hell-Bent is an interesting book that I would recommend to anyone who wants to learn more about an all-consuming sport. I don't think I need another all-consuming thing in my life. In fact, I probably should be dropping a few of my all-consuming things. I'm going to deliberately stay away from this book. The review, however, was mind-bending. OUCH for sure!! I did do hot yoga a few times (not quite Bikrim but I think close) and I enjoyed it but mostly I do the wimpy stretching stuff in the comfort of my home where I can walk away if I want and make fun of the people on the TV (the prenatal one I have is really ridiculous). I love yoga but have been scared to do it anywhere other than in the privacy of my own home. Bikram yoga fascinates me, and I would love to try it one day. Unfortunately, I know I am no where near flexible or strong compared to other practitioners, so again there is that huge intimidation factor for me. The positions in which they bend their bodies, or the upper body strength required for some of the positions is so impressive! I LOVED that book! So glad it came your way. It's the perfect opportunity to experience all the weirdness of Bikram without ever needing to step inside a studio. That's a great way to put it! The dedication of Bikram (and his followers) is very impressive. I can't wait to read this. I've been practicing Bikram for just under two years and it is amazing what it has done for me. I used to have panic attacks and it's helped me deal with it (because the feelings you experience in class are like a panic attack! ), I have horrible knees from years of figure skating and all that pain is gone when I'm in the hot room. And what is great about Bikram is it's the same thing every class, in every studio, in every city around the world. Each class you notice some sort of change! Not that I"m trying to sell Bikram or anything, I'm not obsessed! But it does have an odd reputation in both the yoga world and outside the yoga world and I'm glad to see that this book isn't a negative portrayal. Yes, competitive yoga seems odd but I attend the Toronto championships and it's amazing to watch! Your story sounds similar to what I kept reading in this book. People with health issues of all sorts found a great way to feel better through yoga. I think that is great! I didn't find this book to be negative either. Bikram is an odd duck but he's done a lot of good for people. :) I would LOVE to see a competition! I might have to go scare up some videos. At first I thought competitive yoga did sound strange but they are measuring the physical aspects of it. Just like any other sport! I am quite interested in yoga, and when I saw you read this book last week, I ordered it right away. I am currently reading another yoga book, but this one will follow soon. Great to read your review as well. You'll have to let me know what you think of this one Bettina! The thought of hot yoga makes me want to barf. Seriously. Heat and exercise and me do not play well together. Competitive yoga sounds like an oxymoron. My yoga instructors always told us NOT to compare ourselves and our practice with others. Or even with our performance the day/week/month before. Still...the pretzel like qualities of some people never cease to amaze me. Heat + Exercise = NO!